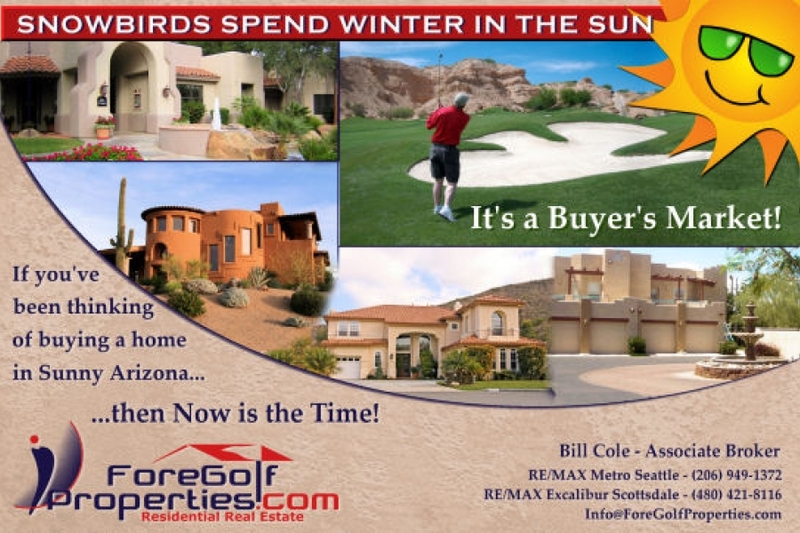 This client needed a half page ad in three days for a local golf magazine - he gave me his logo and mentioned he wanted some pictures of luxury homes and condo''s in arizona as he''s licensed both in Washington state and in Arizona. From that, we created this fantastic postcard that elicits the "fun in the sun" Arizona lifestyle with an adobe feel. Our client is thrilled - look for this ad next month in Pacific NW Golf Magazine! Snow Birds	Gallery: Postcards & Flyers Portfolio	Description: This client needed a half page ad in three days for a local golf magazine - he gave me his logo and mentioned he wanted some pictures of luxury homes and condo''s in arizona as he''s licensed both in Washington state and in Arizona. From that, we created this fantastic postcard that elicits the "fun in the sun" Arizona lifestyle with an adobe feel. Our client is thrilled - look for this ad next month in Pacific NW Golf Magazine! Views: 2619	Loves: 0 love it!